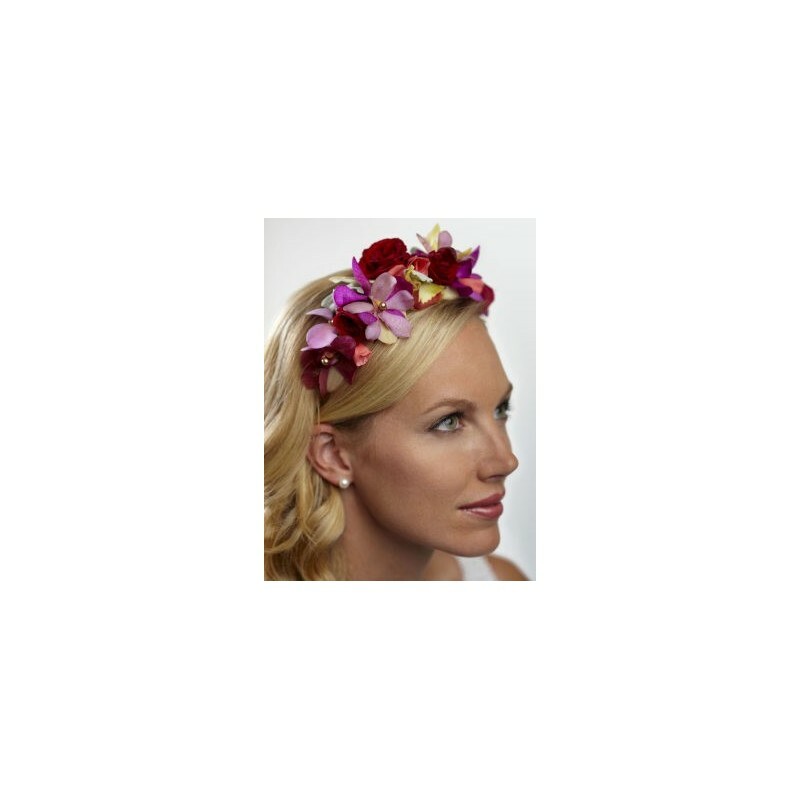 A stunning alternative to a tiara, this floral headband will give you an ethereal glow on your wedding day. 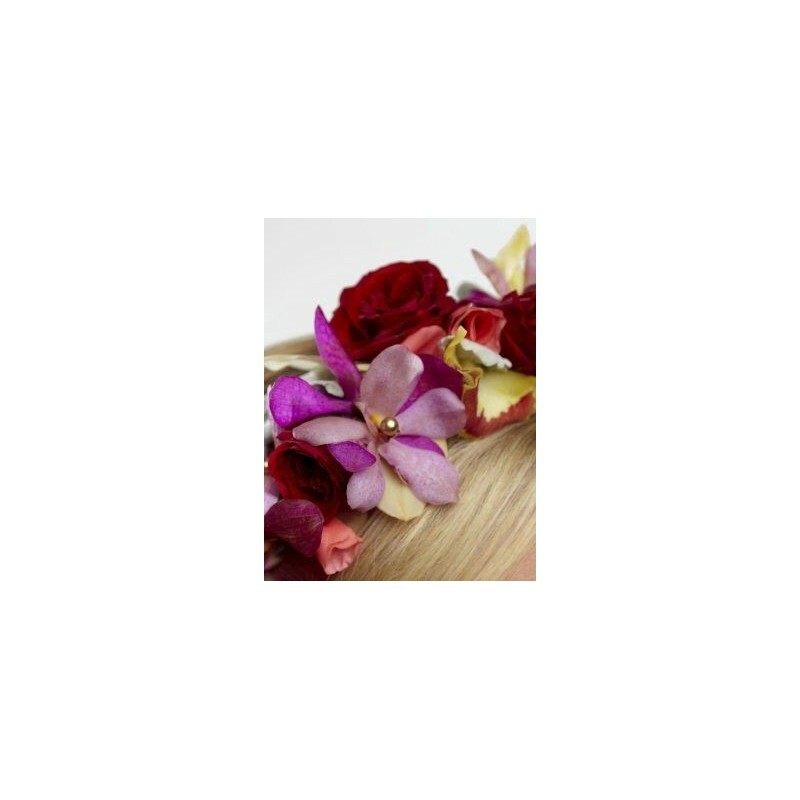 Gold cymbidium orchids, coral roses, red spray roses, lavender vanda orchids, red vanda orchids, and dusty miller stems are arranged beautifully and secured to a headband to create a dramatic and colourful look. Approx. 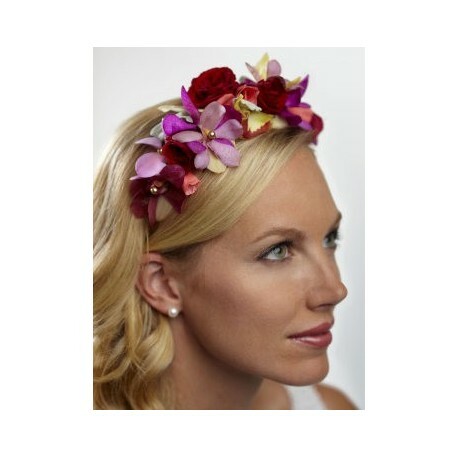 19-inches in length and 3-inch in diameter.